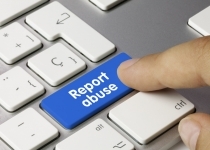 I’m commonly asked about how to report a problem online such as how to report abuse, how to block users etc. on various sites and services. It would be impossible to go into any great depth as the sheer range of web services and social media used by children, young people and adults is immense. The two most important reporting services and the processes that everyone (in the UK) should know about are provided by CEOP and IWF. This is the advice/safety centre of the Child Exploitation and Online Protection Centre (CEOP) where you can also make an online report. The Internet Watch Foundation (IWF) is the UK hotline for reporting criminal online content such as CSA/CSE content hosted anywhere in the world. Facebook – a new community standards page with tons of information, including how to make a report. Twitter – this page will show you how to make a report, and also how to make a report on behalf of somebody else. Instagram – This is the community guidelines page with lots of tips, and also points you to links in order to block or make a report. Snapchat – To the left of the Snapchat community guidelines page you will see links for different reports. Google – Two great Google links: firstly their Safety Tools page HERE and secondly the Family Safety Centre with lots of tips. YouTube – This is Google’s Reporting and Enforcement page where you can report content or a user. Skype – Here is the Privacy and Security page from Skype with lots of help including hacked account, privacy settings, abusive behaviour etc. Kik Messenger – Not exactly a comprehensive help centre but there are some useful tips here. ask.fm – After huge negative publicity over the last couple of years ask.fm are really trying to clear up their act and they have a new safety centre. ooVoo – This may be new to some, but I’m seeing increasing usage of this app with both children and young people. Blocking or unblocking a contact on ooVoo. NOTE: All images on this page are copyright of their owners and link back to their respective page.